We were recently asked by a customer. 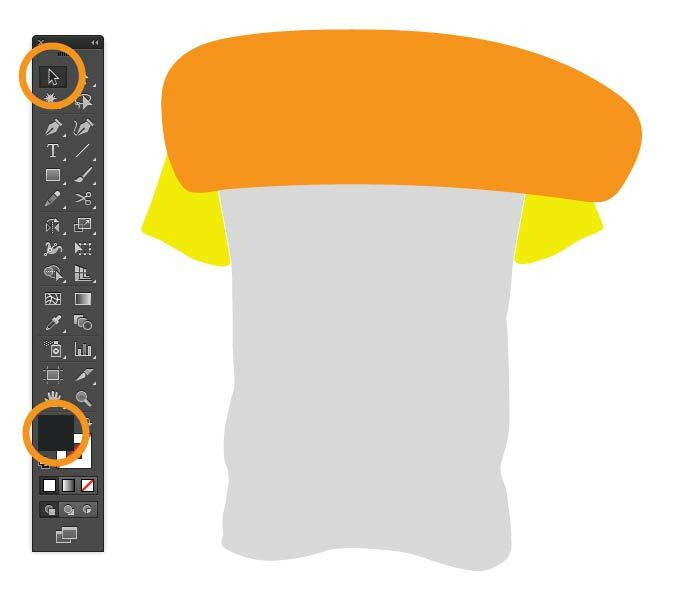 Our support team quickly swung into action to explain how to create a half/half panel for the t-shirt design. It’s always exciting to see and hear about what our customers are doing with our templates and art packs in their own businesses. If you have any questions or want us to cover something Apparel Design or E-commerce related in a future blog post just let us know in the comments section below or privately communicate with us via our contact page and we’ll do our absolute best to cover as many as possible. 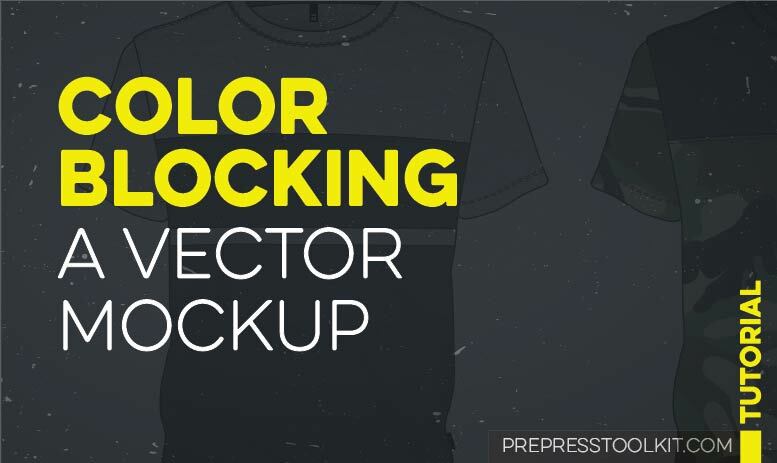 We thought this would be a great opportunity to show everyone how to simulate color panels for any of our vector mockup templates. Just in case you aren’t 100% sure what color blocking (also referred to as color panelling) is, it’s the process of sewing two or more fabric panels into a section of a garment. 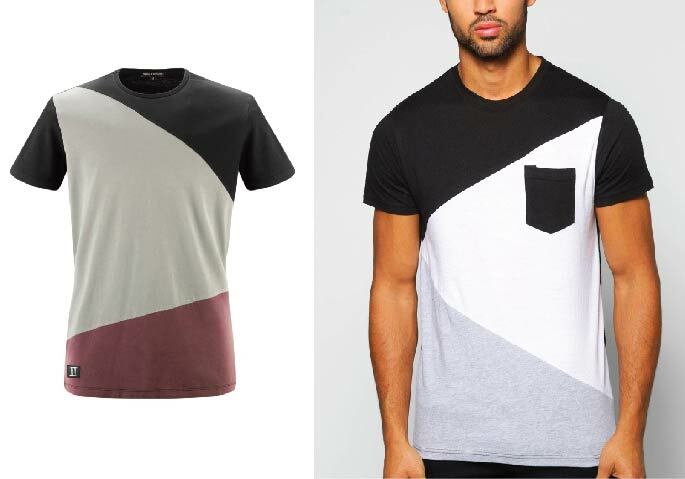 For instance, a t-shirt can have the front panel split into two half sections and different fabric colors or even different fabric types are sewn together to add visual interest to a garment. These panels can be sewn with a vertical, horizontal or even a diagonal seam. Below is a freshly curated set of images to better illustrate what color blocking looks like. 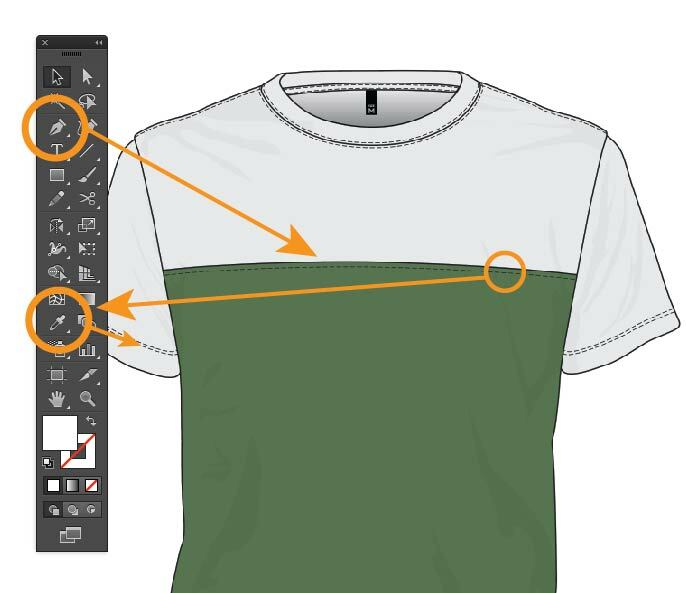 The basic concept of this tutorial is to use the existing body color panel and cut out a new blocking panel from it using Illustrator’s Pathfinder Tools. 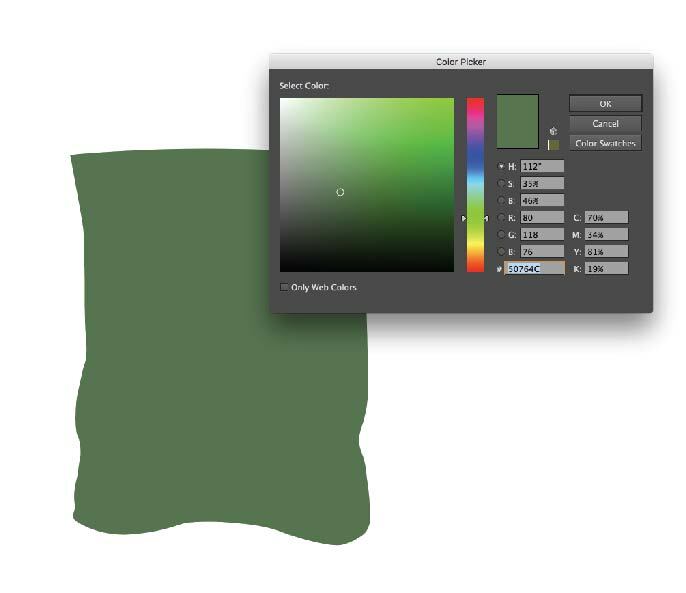 Use the direct selection tool (black arrow) to select the left and right sleeve colors as well as the chest color. Holding Shift while clicking on the panels will allow you to select them all at the same time. You should now have only the front chest and both sleeve panels on screen. For this example we will use the pencil tool to draw out our panel, however you can use the pen tool or rectangle tool as well. When drawing out your panel the main thing to focus on, is where you want the sewn seam to go, for this example we want the seam to be around the center of the chest. Everything in our path that is outside of the t-shirt boundary will be cut away in a latter stage, so we finished off our panel by roughly looping back to where we started drawing. With everything still selected click on the Divide button in the Pathfinder (it’s the bottom right option) This will divide any overlapping object selected. (The dotted lines in the image below represent where the Divide tool is going to dice up our artwork for this example. Ungroup your newly diced paths (Object > Ungroup) then with the direct selection tool, select and delete everything except the bottom check panel. Color the panel with a color or pattern of your choice. 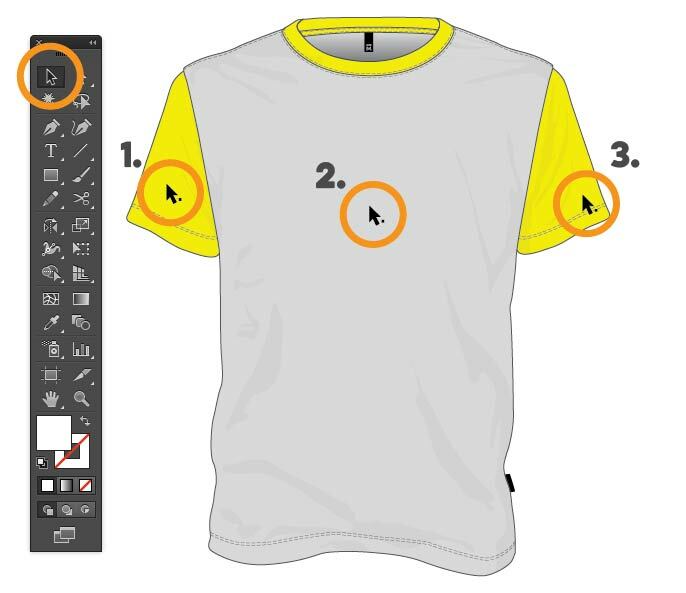 At this stage we need to unhide our t-shirt template so we can add in some extra details, to do this go to: (Object > Show All) You should now see your t-shirt template again with your newly created panel on top. Note: Sometimes your new garment panel will be sitting on top of the template which will hide all the fabric and stitching details of the clothing template. 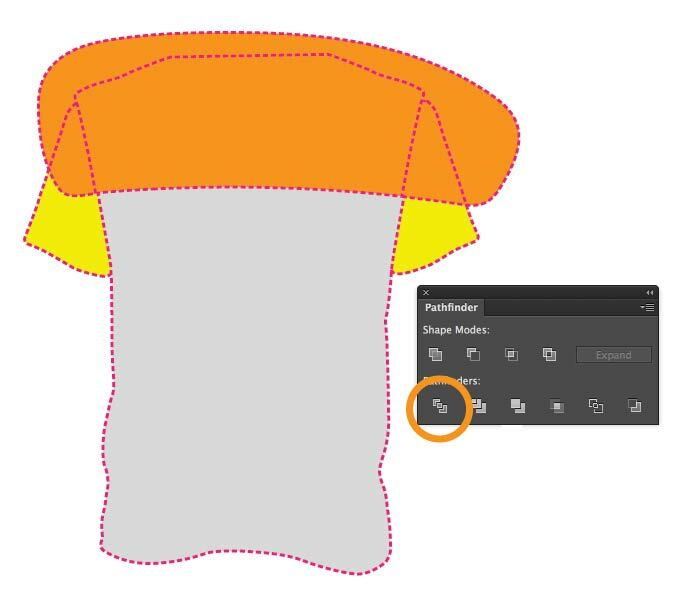 To correct this, select the panel and use the shortcut (Cmd + [ ) to move the panel one layer at a time below. Keep tapping the bracket key ([) until the panel is situated on top of the body color layer but below the garment details. Details, It’s all in the details! The last step is to add a seam and stitching for added detail in your template. We used the pen tool to draw the lines out again. For the stitching effect, select the line you wish to apply a stitching effect to and then use the eyedropper tool (i) to copy the effect from the stitching lines on the sleeve of the garment. 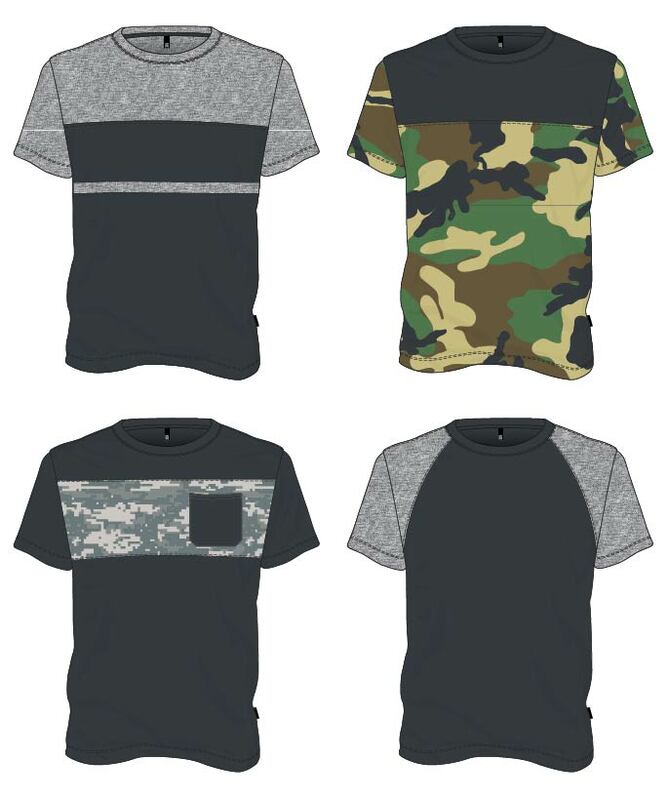 Here are some color blocking samples we created for fun. 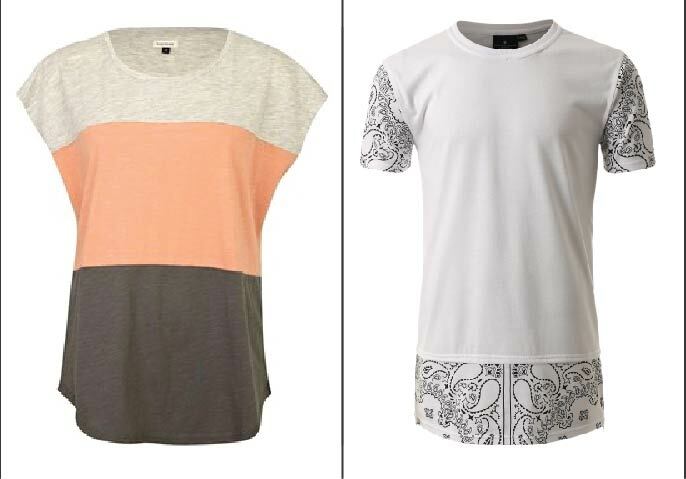 Once you understand the process you can create any type of garment color blocking. 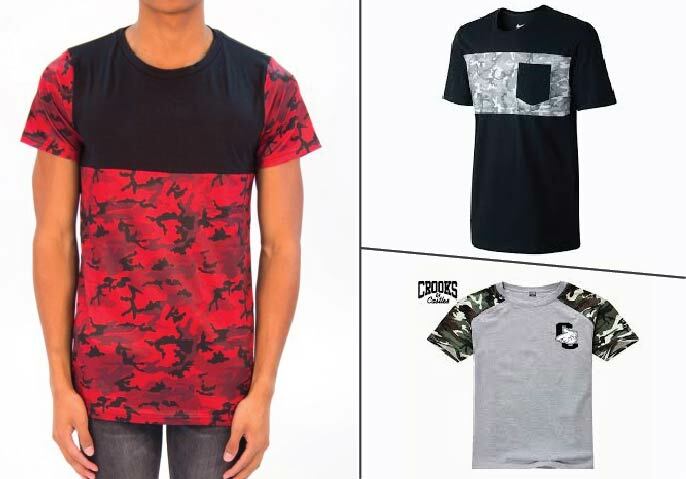 More Clothing Design Tips, Tricks and Tutorials! 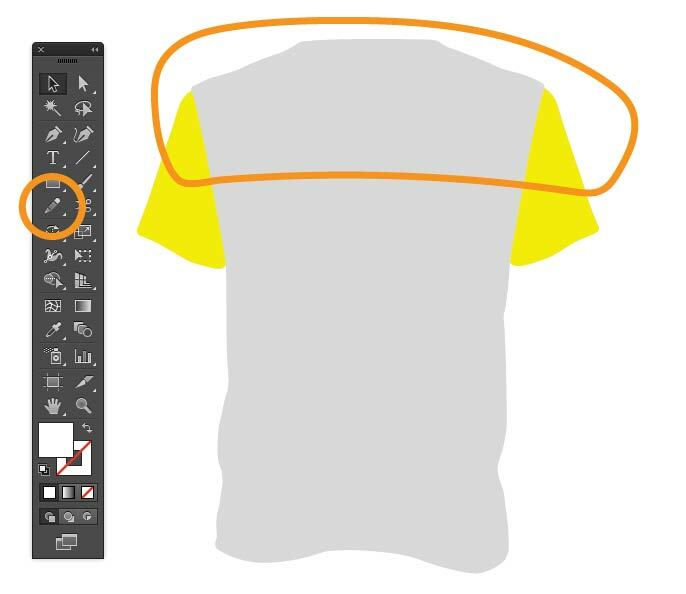 For more clothing design and ecommerce tips, tricks and tutorials make sure to subscribe to our clothing design news feed.